Ventilating your attic does your roof a lot of good. First of all, it expels damaging moisture. Second, it prevents ice damming by keeping the roof planes cool. Third, it helps extend the service life of the covering by minimizing heat buildup, particularly in the summer. Fourth, it contributes to energy efficiency. Temperature affects the airflow within the attic. Hot air rises because it’s less dense, and creates a slight vacuum at the bottom of the room as it exits the house. Then, the cold air fills the void, which, in turn, helps keep the space cool and dry. Any roof and gutter repair specialist knows bad ventilation makes warm air struggle to find an escape route. As a consequence, heat builds up, and moisture condenses upon touching surfaces below the dew point. Intake and exhaust vents work together to replenish the air in the attic. The problem is that some combinations don’t promote efficiency. For instance, a pair of gable vents doesn’t breathe out warm air effectively because it’s located in the walls. It relies heavily on wind speed and direction to circulate the air within the space. Ideally, your roof’s ventilation system should admit drafts at the soffits or eaves, and push the warm air out through the ridge. In this setup, you can make the most of natural convection, and prevent heat buildup and moisture accumulation without mechanical equipment. Ventilation is good, but any roof repair expert would say that an excess of it could be bad, if not worse, for your roof’s health. Vents represent penetrations that water uses to infiltrate home interior. The more vents your attic has, the greater the chances of leakage. Generally, there’s a math to figure out proper attic ventilation. The ratio is one to 300: there should be one square foot of ventilation for every 300 square feet of ceiling area. However, many factors, like interference, can affect the entry and exit of air within the space. 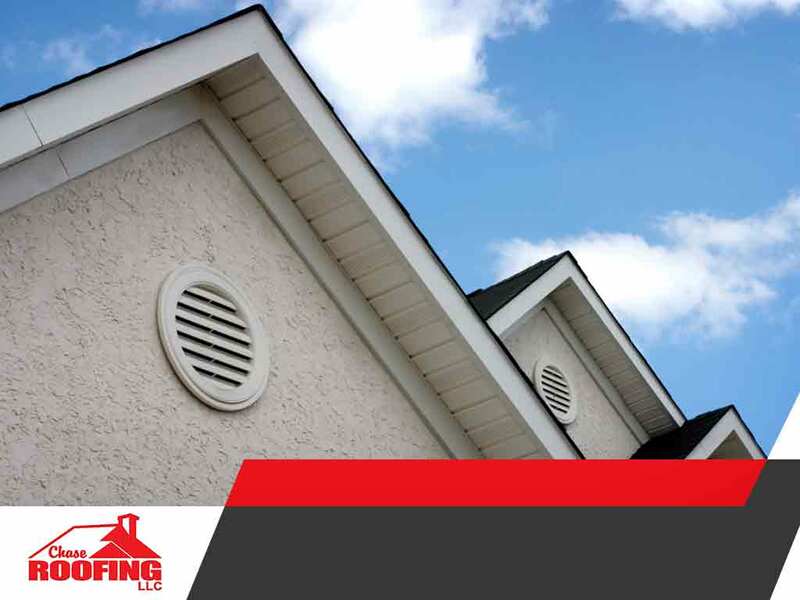 Let Chase Roofing determine whether your roof has sufficient ventilation. Call us at (757) 333-0052 now to discuss your roofing needs, and get your free estimate in Newport News, VA, or any neighboring community.